Roxanne Vento entered her senior year at UMass Boston with a career average of .392, along with 13 home runs and 103 RBIs. 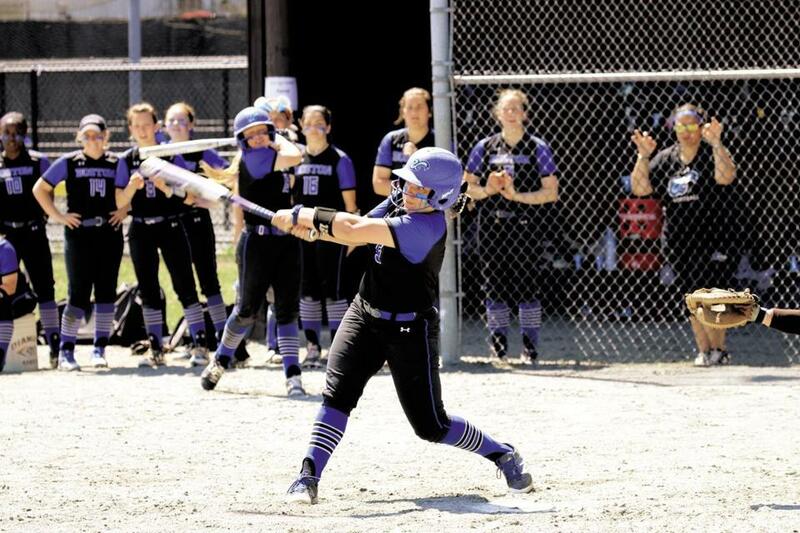 Roxanne Vento put together a dream season for a women’s softball player her sophomore year, when the Arlington High product set program records for hits (61), doubles (18), RBIs (42), and field percentage (1.000) at UMass Boston. The Little East Player of the Year, Vento was a second team all-region selection at catcher. Vento became a first-team Little East pick as a junior and entered this — her senior year — with a career average of .392, along with 13 home runs and 103 RBIs. In 32 at-bats this season, she is swinging away at a .469 clip for a Beacon squad (5-5) eyeing its fourth straight conference crown. Before she stepped back into the lineup, Vento took a few minutes to chat with the Globe, giving a shout-out to her teammates and coaches who have helped shape her into the athlete that she is today. Q. What’s been the key to your continued success? A. I would definitely say the group of girls that I’ve been able to play with the last four years, they’ve all been great groups, especially with the coaching staff. We have a competitive environment, we show up every day, and we compete against each other. Q. What is the goal for this Beacon team? A. Coming back and competing for another championship. We’ve been in in the conference championship the last three years, so we’re looking to make it a fourth. We are really trying to focus on starting small. If we can focus on the small things, then the bigger things are gonna fall into place. Q. Best part of playing softball? A. The relationships I’ve made. I’ve been there for four years, some of the girls I’ve played with will be my best friends for the rest of my life, even when I was younger on travel teams and in high school I still talk to. Q. What has been the greatest challenge of your career? A. The end of my sophomore year going into junior year we were expected to run the [Little East]. We started off really slow — we didn’t really know how to pick up the pieces. We wanted to come back and defend the title. We’ve always been the underdog; the way we look at it now that we’ve been so successful, we’re the Patriots: we’ve had a target on our backs. Q. Are there any pro softball players you look up to? A. I would say [former University of Oklahoma All-American first baseman] Lauren Chamberlain. She is a great hitter. She has a great swing, she’s powerful. That’s one of the things I pride myself on, I like to think I’m a pretty consistent hitter so watching her swing kind of manipulated mine to see something I can work better on. Q. Who are you as a player? A. I like to think I’m pretty aggressive, especially offensively. I really pride myself on hitting just because I’ve worked so hard ever since I was a kid. I enjoy being on offense. People laugh because I say I don’t consider myself a power hitter, but I know that I’m going to produce whether it’s a walk, base hit, or home run. Q. What do you like to do outside of softball? A. I’m a big sports fan — I am a season ticket-holder for the Patriots. I’ve been a season ticket-holder for as long as I can remember. I love anything New England sports. I’m also a big Buster Posey fan, not just because he’s a catcher but I did a baseball camp and met him and got an autographed baseball. I just like hanging out with my friends. Not only the girls on my team, but girls from high school, just hanging out. Q. What inspires you to achieve success academically? A. I’m an early education major. My concentration is preschool education. Growing up, I had two sisters and they both have kids. I’ve been an aunt for a while. That started my whole academic mind-set of wanting to become a teacher. I can really help shape them into becoming good people. Q. Your inspiration in your daily life? A. I know people that never had the opportunity to play sports, that’s one thing we talked about last year in a team meeting — being grateful, you get to get be on a college campus and you’re getting an education, you get to wake up every day and play the sport that you love. For me that’s my inspiration or even this year is that this is my last go-around. I’m grateful that I’m able to be here, and we’re doing great things as a group. A. If I have the talent to do it , be a broadcaster for ESPN or NESN. Growing up being an athlete just going full circle and being involved in that would be pretty cool. Alex Bensley can be reached at alex.bensley@globe.com.